Sabarimala Temple or Sri Ayyappa Temple is one of the most revered and most popular shrines of Kerala. It is Located at village of Sabarimala and falls in the eastern part of Kerala bordered by Tamil Nadu and built on a plateau of about 40 feet high. The village of Sabarimala got its name from ‘Shabari’, a devotee who of Lord Rama. It is a well-known pilgrim center of Kerala. Sabarimala Temple is dedicated to Lord Ayyappa, who is regarded as the unification of Lord Shiva and Lord Vishnu. The two branches of Hinduism i.e. Shaivism and Vaishnavism come together in the form of Lord Ayyappa. The Temple looks Marvellous. It’s dome is covered with gold. The temple observes an annual festival known as Sabarimala festival where hundreds of devotees come after observing complete abstinence from the worldly affairs.Every Year, this is celebrated from the month of November to mid January. During this time, Mandal Puja and Makar Sankranti Puja are the two main occasions when temple is visited by thousands of people. An amazing fact about Sabarimala Temple is that this temple is open for the people from all religions, castes, creed or color. Women between the age of 10-50 are not allowed to enter into the temple. Only the Young Girls, who have not yet attained the age of puberty and Women, who have reached the phase of menopause are allowed to attend the pilgrimage to Sabarimala. According to the Supreme Court, the restriction went against the Articles 14, 15 and 17 of the Indian Constitution. They said that,If we Ban the entry of women into the Temple it results in gender discrimination and the practice violates rights of Hindu women. After the overall discussion,5-Judge constitutional bench removed the prohibition and granted the entry of women of all age groups into the Sabarimala Temple. 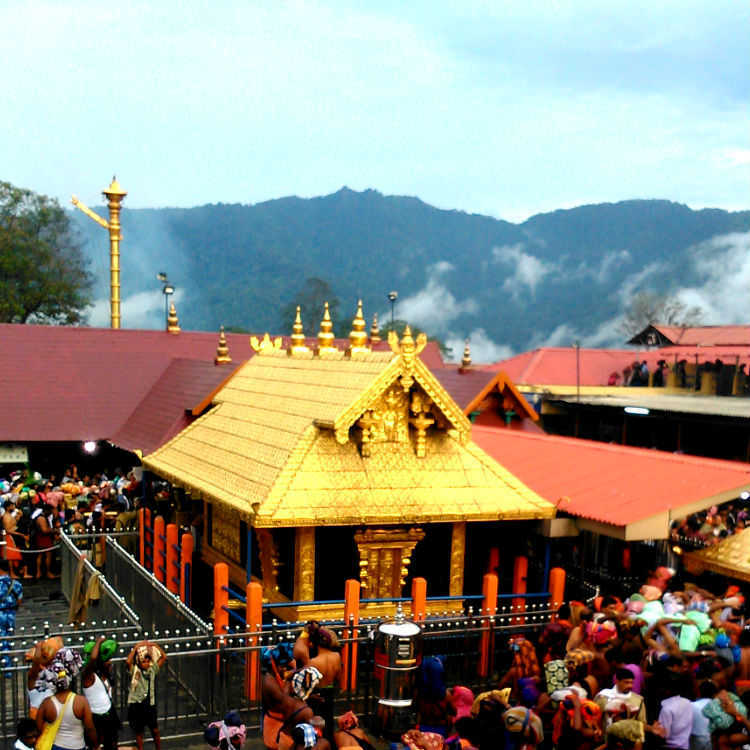 Sabarimala Temple is dedicated to Lord Ayyappa, who is regarded as the unification of Lord Shiva and Lord Vishnu.